CBD is all over the news today, and for good reason. Research surrounding CBD or Cannabidiol continues to reveal the many ways this natural cannabis compound can affect the human body and help with a multitude of ailments. From common conditions to those that are more serious and even life-threatening, CBD is quickly becoming a viable and all-natural alternative to traditional pharmaceuticals. Due to decades of marijuana prohibition, many people are under the false perception that CBD only comes from Marijuana and as such is illegal and unavailable to them. But this is not true. Marijuana and Hemp are both from the Cannabis family and both produce CBD. CBD extracted from Hemp is identical to CBD extracted from Marijuana, with one important distinction. CBD extracted from hemp is 100% legal at the federal level and as of now can be purchased in all 50 states without a prescription or medical marijuana card. 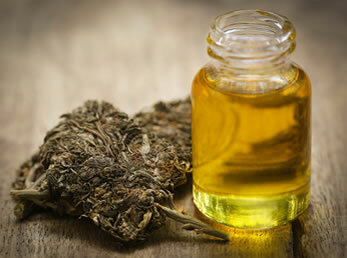 CBD is one of over 100 compounds found in the cannabis family that belong to a class of molecules called cannabinoids. Of these cannabinoids, CBD (cannabidiol) and THC (tetrahydrocannabinol) are usually present in the highest concentrations and are therefore the most recognized and studied. CBD and THC cannabinoid levels tend to vary in amount and ratio among the various strains of cannabis. Marijuana grown for recreational purposes typically contains much higher levels of THC than CBD. Conversely, the hemp plant will have a higher concentration of CBD than THC. For many people, when they hear the term, “medical marijuana”, they may assume that any medical benefit obtained is exclusive to THC, marijuana’s mind-altering ingredient that makes you “high.” This assumption, though common, is incomplete. 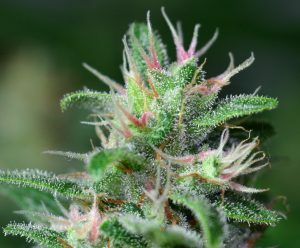 While THC does have many beneficial medicinal uses (and if so inclined, you should avail yourself to them), it can be argued that the bulk of marijuana’s potential as a medicine, is found in the CBD cannabinoid. Unlike THC, CBD will not make you high. This is especially good news for those who live in states where medical marijuana is unavailable. All Health – No High: The medical marijuana alternative? CBD extracted from hemp (the cannabis sister plant to marijuana) provides not only a viable alternative to THC heavy medical marijuana, for many it has become the preferred option. People in search of the health benefits of cannabis and cannabinoid supplementation are able to use a hemp-derived “CBD-Only” product and avoid the intoxicating effects commonly associated with marijuana usage. This is especially important to parents. Over the last several years, CBD usage has grown significantly among parents with children on the autism spectrum (ASD), those suffering from childhood epilepsy and other pediatric health issues including anxiety and ADHD. The CBD-Only option delivers the benefits parents want without the dangers of exposing their children to psychological distress that can be caused by exposure to THC. CBD-Only products are also attractive to Federal Employees, law enforcement and others who must submit to regular drug screening as part of maintaining employment. CBD-Only products will not test positive for THC on a drug screen. Hemp-derived CBD has a clinical advantage for doctors and medical practitioners who want to maximize the medicinal benefits of cannabinoid-based medicine while controlling euphoric side effects. Doctors who prescribe medical marijuana, have to concern themselves with the CBD/THC ratio of the product being administered to ensure the patient is getting the desired dosage of CBD, while at the same time, controlling the dosage level of THC in order to eliminate unwanted psychological effects. 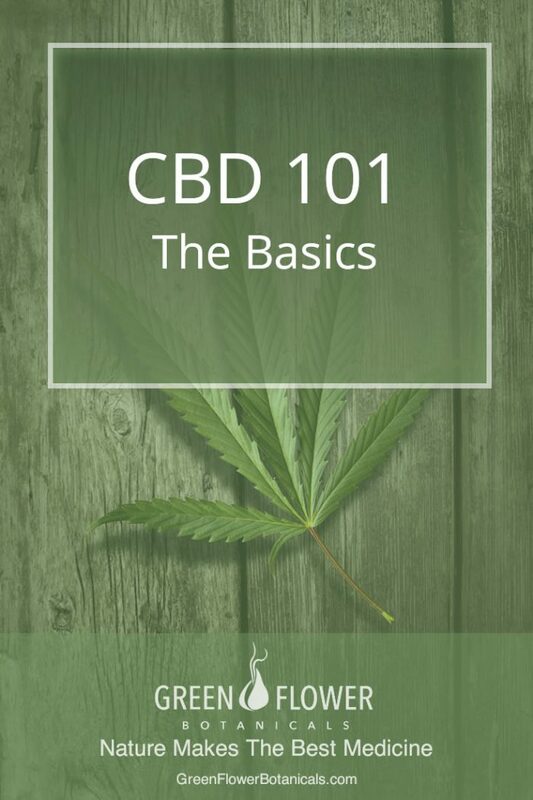 In cases where THC is desired as a part of treatment, it is not uncommon for practitioners to use a CBD-Only product in conjunction with a THC product to better facilitate precise dosing between the two compounds. Because of its anti-psychotic properties, CBD, when administered alongside THC can be used to actually decrease the euphoric effects of THC. Researchers believe this effect is also one of the reasons CBD is such an effective anxiolytic. Before the invention of modern-day pharmaceuticals, nature was mankind’s pharmacy. The use of cannabis as medicine has been documented as far back as 2700 B.C. when Emperor Shen Nung, considered to be the Father of Chinese Medicine and the inventor of acupuncture, recommended cannabis as a treatment for more than 100 ailments. Throughout history, cannabis has been used as a natural healing agent for a multitude of illnesses and health conditions. Despite the long-term prohibition of cannabis and the misguided propaganda fueled by well-meaning, yet misinformed policymakers – doctors, scientists, and politicians are now discovering what our ancestors have known all along – nature makes incredible medicine. With a growing number of US states legalizing its medicinal use, cannabis has quickly become one of the most researched plants in history. An interesting, yet lesser known fact: The U.S. Government actually holds a patent on CBD. Since the time this patent was granted in 2003, research on cannabidiol has continued to unveil new medical possibilities associated with this powerful little cannabinoid. In 2017 alone the National Institute of Health supported 330 research projects totaling over $140 million on cannabinoid research. Research associated with CBD as a potential treatment for various medical conditions. Research into cannabis as medicine is ongoing and our understanding of its many potential benefits continues to grow every day. For a more complete list of the research associated with CBD as a treatment for specific conditions, go here. The first CBD drugs have finally been approved by the FDA. On June 25th 2018, the U.S. Food and Drug Administration (FDA) made a historic announcement, approving the first new CBD-based drug called Epidiolex. This came three months after a positive recommendation by the Food and Drug Advisory Panel. Experts are now hopeful that this approval will unleash a new wave of studies to find out more of the pharmacological potential of CBD and other cannabinoids in the Cannabis plant. Epidiolex is a liquid drug developed from a unique strain of cannabis developed by GW Pharmaceuticals PLC. The strain contains high concentrations of CBD (cannabidiol) and very low THC. The drug treats two severe forms of epilepsy, that do not respond to drugs, that is, Dravet syndrome (DS) and Lennox-Gastaut syndrome (LGS). Epidiolex serves as the first medicine containing a compound derived from Cannabis to be given approval by the FDA. Every human being – and all mammals – possess an Endocannabinoid System (ECS). Discovered by scientists in 1992, the endocannabinoid system is a network of specialized receptors that help maintain homeostasis – the ability of your body to function within safe limits. As such, the endocannabinoid system is vital to your health on all levels. Everything from your sleep habits to your mood and memory, appetite, physical activity, pain perception, and even your immune function and hormones rely on the endocannabinoid system to maintain a healthy rhythm and balance between your bodies connected biological systems. When your endocannabinoid system is functioning well, you are healthy, energetic and mentally focused. If something goes wrong in your endocannabinoid system, such as a deficiency or an inherent error in receptor production or function, you will be more susceptible to developing one or more of a host of health conditions. To accomplish its work, the ECS relies on endocannabinoids created by the human body to act on various receptors. These endocannabinoids act upon the receptors similar to a key being placed into a lock. The endocannabinoids (keys) interact to turn on a receptor (unlock), turn off a receptor (lock), or modulate a receptor. There are two primary endocannabinoids created by the body that act upon these receptor pathways, anandamide, and 2-AG. The best way to think of these endocannabinoids is as a type of natural cannabis (or cannabinoids) produced by your body. When a health condition is related to an imbalance in the ECS then we need to stimulate the system with the addition of phytocannabinoids (plant-based cannabinoids) to help the system regain homeostasis and rebalance the health of the system. The real miracle of plant-based cannabinoids – like CBD – is how precisely they mimic and interact with the bodies own endocannabinoids and receptor system. 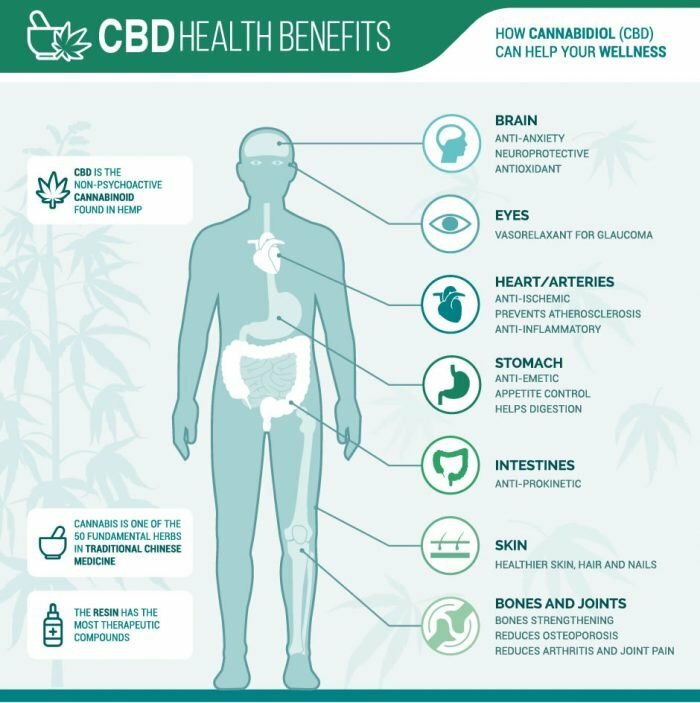 When you use a phytocannabinoid, you supplement the bodies natural endocannabinoids to increase the ability (the gain) of the endocannabinoid system to orchestrate (think orchestra conductor) the various receptors and systems needed to bring the body back into a healthy working balance. For many of us, when we first encounter this huge list of things that CBD can be used to treat, we are naturally skeptical. Honestly, how can you claim that one substance can be used to treat everything from acne, anxiety, fibromyalgia, cancer and more. The key to making sense of the many health claims associated with CBD, is to understand the endocannabinoid system itself. The benefit of CBD comes not as a direct action upon a symptom, as much as, a direct action at the system underlying the symptom. Because the ECS is a type of control center for the entire body, when you boost the ECS, you are in effect, boosting the bodies own capacity to heal itself. 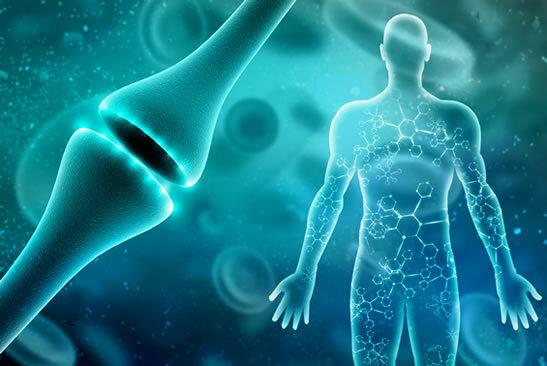 The reason there is such a wide range of benefit to CBD supplementation is because of the far-reaching range of the endocannabinoid system itself. The ECS and its receptor pathways are found throughout the entire body at a cellular level. In response, some scientists like to refer to CBD as a, “promiscuous compound”, because of its multi-variant ability to connect and act upon the various receptors throughout the body. WATCH RELATED VIDEO: Dr. Dustin Salak-Why Cannabis Works To Heal So Many Conditions. 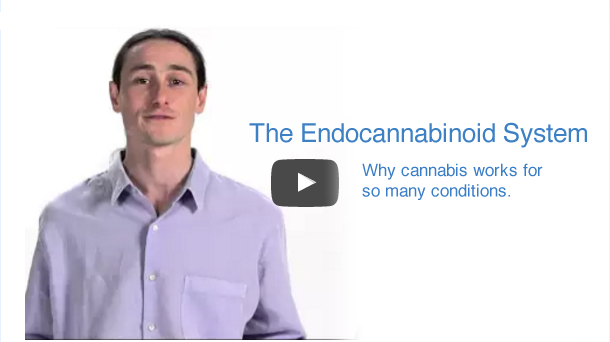 The Endocannabinoid System: Why cannabis works for so many conditions. The information on GreenFlowerBotanicals.com is presented for educational purposes only. Green Flower Botanicals LLC, provides this information to provide an understanding of the potential applications of cannabidiol. Links to third party websites do not constitute an endorsement of these organizations by Green Flower Botanicals and none should be inferred.